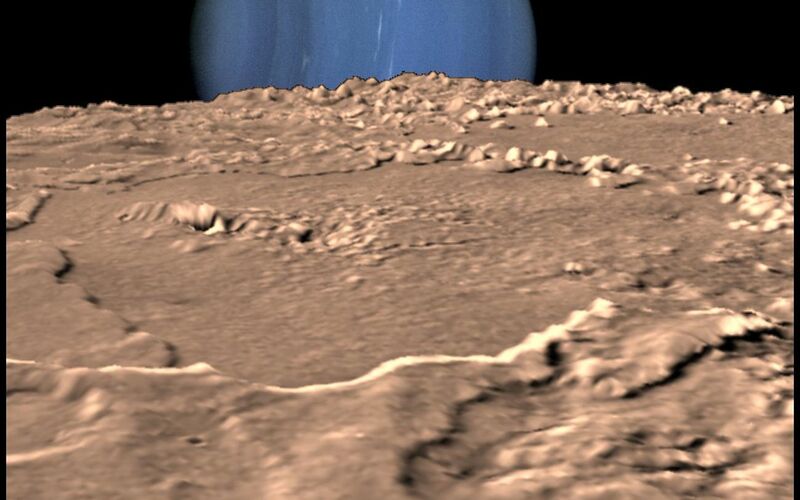 Composite view showing Neptune on Triton's horizon. 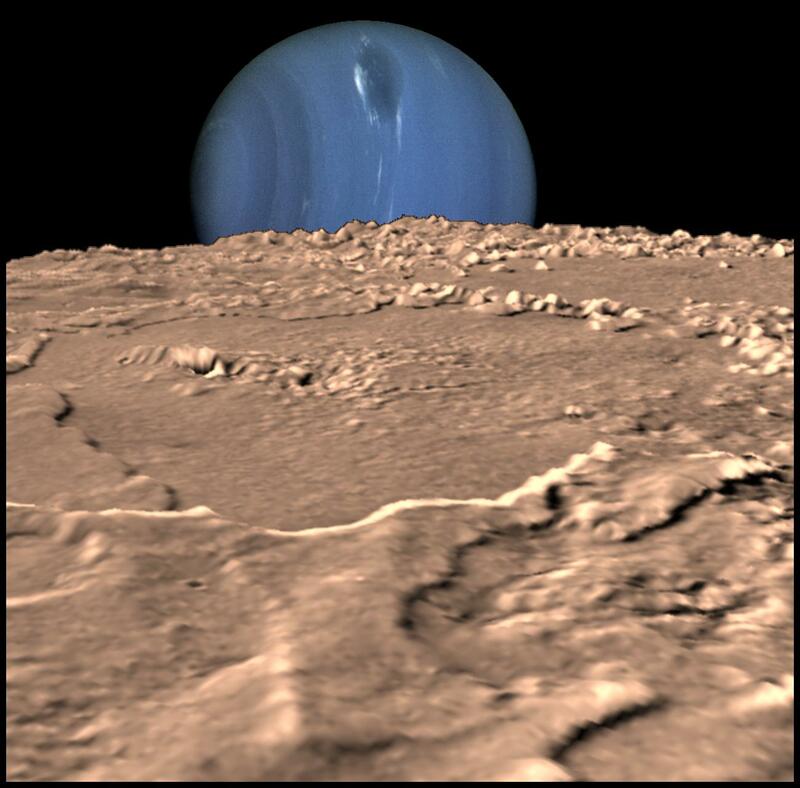 Neptune's south pole is to the left; clearly visible in the planets' southern hemisphere is a Great Dark Spot, a large anticyclonic storm system located about 20 degrees South. 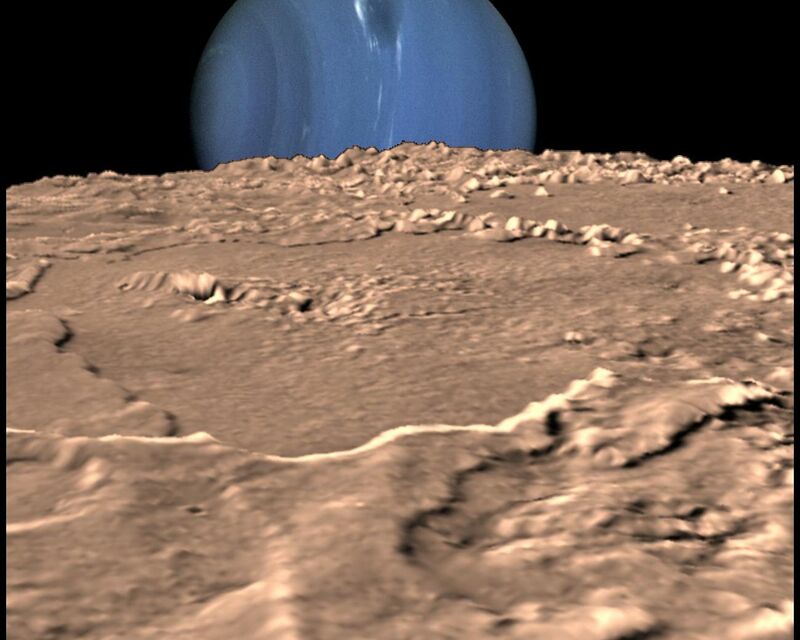 The foreground is a computer generated view of Triton's maria as they would appear from a point approximately 45 km above the surface. The terraces visible in this image indicate multiple episodes of 'cryovolcanic' flooding. This three-dimensional view was created from a Voyager image by using a two-dimensional photoclinometric model. Relief has been exaggerated roughly 30-fold, the actual range of the relief is about 1 km. 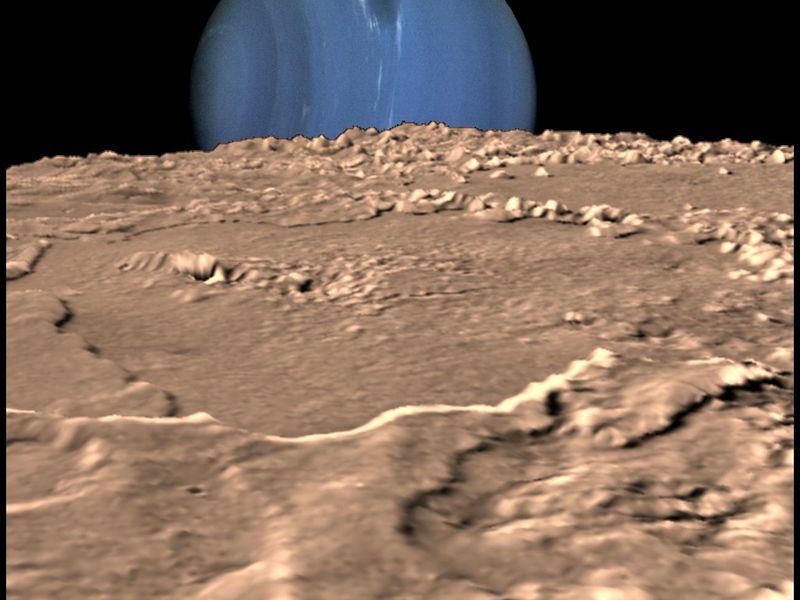 Would Neptune appear to be rising or setting? Neither, due to the motion of Triton relative to Neptune, it would appear to move laterally along the horizon, eventually rising and setting at high latitudes.